Much-needed reforms in bond market and banks were sidestepped, reducing the positives of measures like bankruptcy code and inflation targeting. 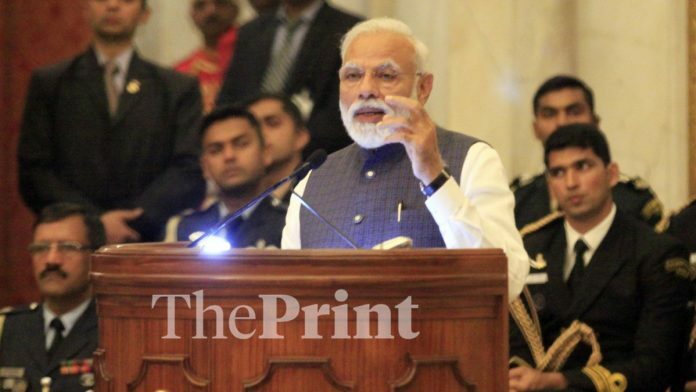 Despite game changing reforms such as the insolvency and bankruptcy code and inflation targeting, Prime Minister Narendra Modi’s five years in tenure proved to be a mixed bag for financial sector reform. This is because the reforms that would have put in place the much-needed plumbing were withdrawn. Economic reform in India since 1991 has focused on the liberalising production and markets. One of the most important economic reforms that were left out in the post-1991 period was a deep reform of the financial sector. While companies were delicenced, the finance available to them was still controlled by the state through public sector banks and a very restricted financial regulatory regime. By 2014 it had become clear that the Indian banking system was facing considerable stress due to the long-term lending to infrastructure projects that had been done in the exuberance prior to the global financial crisis. Since there were many expert committee reports recommending financial sector reform, the government in 2011 set up a Financial Sector Legislative Reforms Commission (FSLRC) to recommend legislative changes that were needed to go through with the reform agenda. And thus, the blueprint was ready in the form of FSLRC’s report prepared over two years and released a year before the Modi government came to power. While the government went all the way on some of the reforms, on others it showed the right intent, tabled bills in Parliament, but pulled back when there was opposition from various vested interests. This was unfortunate. One important issue was that the Indian financial system was way too bank dominated. This needed to change. The government and the big corporates both needed to move to the bond market. But to ensure that the smaller companies and households get loans from banks, government borrowing, which is considered to be “risk-less” and supposedly more “credit-worthy”, corporates should shift to the bond market. For this, the bond market was required to offer them cheaper and easy access to finance. In other words, what was needed was a well functioning deep and liquid bond market. In terms of the reform agenda, this required reforms in the way government borrowing was handled. Today, the Reserve Bank of India, in its role as debt manager, issues bonds to the government of India; and then, in its role as the banking regulator, requires banks to buy them under the statutory liquidity ratio (SLR) requirements. The way forward required to get the RBI out of these two roles. The RBI needed to be given a clear mandate that was in line with what central banks do, i.e., monetary policy. It had to be given the mandate to use monetary policy to give price stability and control inflation. Additionally, an independent debt manager had to be created for government borrowing to get the RBI out of this job. But the shift to the bond market would not in itself have dealt with the issue of lending. The government needed to ensure that banks lend to the small borrowers. Under the present system, with public sector banks (PSBs) dominating the banking sector, there is very little incentive for the banks to lend, whereas they lend to the government even beyond the SLR requirements. The banking sector needed more private banks. Yet, knowing how private profit-making banks tend to protect their shareholders more than the consumers, an effective regulatory mechanism needed to be put in place. This had to reduce the risk of failure, yet allow it and have the promoters of private banks to be stripped of their assets if they run the bank into failure. Four elements of the legislative changes were needed to achieve the above reforms were: an insolvency and bankruptcy code; a clear mandate to the RBI to make it target inflation; bond market reforms to create a Public Debt Management Agency and regulatory reforms for the bond market; and a resolution mechanism for financial firms and creation of a Financial Resolution and Deposit Insurance corporation. All four bills were tabled in Parliament. The first two were enacted. The latter two were withdrawn when faced with opposition by incumbents, trade unions and misinformation campaigns. This meant that the financial sector reform could travel only half way through. Without the latter two, the benefits of the former would be limited and take much longer. The reforms needed to make the bond market work for long-term borrowing and to make the banking system work for small borrowers still lie ahead. Misinformation campaign on FRDI bill as well as on land acquisition, was carried out by Congress. It would have been only fair to explain to the readers of how and why those bills were withdrawn.